Cohasset, MA – Integrated Builders, a firm specializing in general contracting and construction management services, has completed construction on the new Cohasset Senior Center on behalf of The Social Service League of Cohasset. The $3.7 million, 11,340sf center was funded entirely through a private/public partnership and offers a multitude of programs and activities for the local senior community. Integrated Builders Superintendent John Grace worked alongside architects Bargmann Hendrie + Archetype, Inc. and The Social Service League of Cohasset throughout the development. The development includes a two-story, colonial style building on the west side that leads into a one-story building on the east end. The Cohasset Senior Center consists of a large, multipurpose function room, billiards room, second floor office space for Elder Affairs, and a lounge for programming and social hours. Additionally, the building includes a kitchen, pantry, and dining area that is designed to host cooking classes. Conveniently contained under a single roof, Cohasset seniors can now easily access a variety of services with minimal transportation burdens. 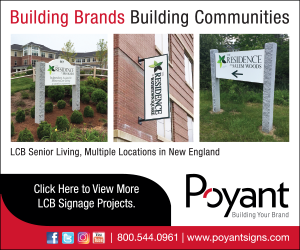 “Our elderly community represents one of the fastest growing populations in the town of Cohasset, a demographic that will benefit greatly from the construction of our new senior center,” said Marita Carpenter, president of The Social Service League of Cohasset.